It’s a bit of a leap to make, picturing the three programmers sitting at their respective desks, ornamented with their respective bobbleheads, novelty coffee mugs, and other desktop clichés, each separated from one another, and yet they’re each contributing to a mutual project: one writes the source code, another, finds a bug, another fixes that bug. They’re contributing to Richard Stallman’s revolutionary model of software development, free software. It’s a simple, comprehensible example structure for Stallman’s model that leaves little to get confused about, but what if we scale up our example. Take Mozilla, makers of the world’s most widely used web browser of the past 26 months (and remember, computer years are to dog years, what dog years are to people years). How exactly does Mozilla, a non-profit organization making free software, procure the funds, the staff, and the initiative to create the world’s most prominent web browser? 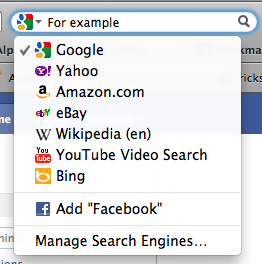 Well being an ignorant Chrome user, I’m not entirely sure. Time to investigate! Well that didn’t take too long. In short, the funds come from a few places. In early 1998, Netscape funded the project that financed just three staff members and the support of hundreds of desktops and bobbleheads. Soon AOL took over Netscape, but vowed and made good on continuing their support for the fledgling development company. 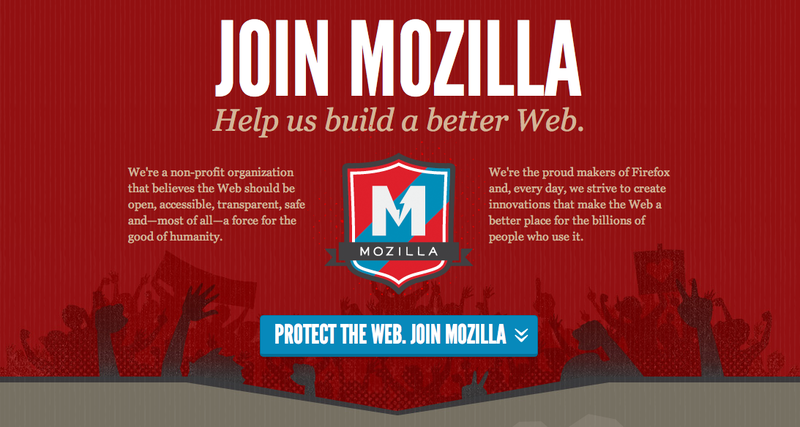 By 2003, they diverted their attention from the Netscape web browser and established the Mozilla Foundation. Firefox was released in late 2004 and would procure funds by asking for support from it’s community through donations. Soon enough Mozilla also secured rather lucrative deals with google and other popular search engines, such that whenever firefox provides a default search through these engines they get paid for the traffic generated, with the transactions monitored by the Mozilla Corporation. 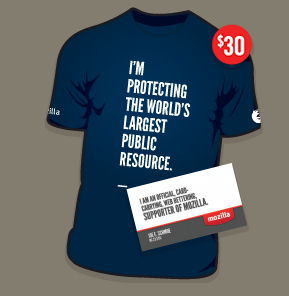 These deals account for over 80% of Mozilla’s funds. It’s a fairly simple explanation really, barring those two little details: the Mozilla Foundation and the Mozilla Corporation. What do those do exactly? Well after a tad bit more investigation, my Chrome-addled mind managed to figure that out as well. The Mozilla Foundation is “a small team of people [that] provide core services to Mozilla community and promote the values of an open Internet to the broader world.” The Mozilla Organization is a subsidiary of the Mozilla Foundation that monitors business transactions and assures that Mozilla is fulfilling its non-profit status. The two entities basically reenforce Mozilla’s status as a non-profit organization, both legally and spiritually. You can here the blistering pride as they discuss an open Internet. Am I being a bit overzealous in my word choice? Blistering? No, no I think it’s justified. The imagery and the the advertising behind Mozilla looks revolutionary in ways that Richard Stallman would love (although he’d rather call it a free internet). The dark red of the background and the extended fists in the the foreground instantly register as a political protest. It’s as if Mozilla is the voice of the populous. With the statement describing the way the Web should be and discussing its impact on humanity highlight the company’s justifiable self-importance. They sincerely believe in this right and encourage people join in not necessarily to develop technologies, but to contribute to a movement. In fact, they wrote a Manifesto. So Stallman-esque. And while financially Google and the other search engines contribute more, this excitement over one’s implicit internet rights creates a community beyond Mozilla the organization that is equally excited. Users generate banners that others are free to post, while others dress up as fire-y foxes at fan conventions. While the default search deals account for most of the money, it’s the excitement from internet users fighting for their internet rights that accounts for so many developing software, downloading the software, and encouraging its use from others. While the vast majority of these people don’t donate a penny, they contribute to the company and the product directly leading to the company generating money from these search engine deals, and all because the users are excited. And the reason they’re so excited is because Mozilla takes such pride in itself. Those zealous mission statements and total disregard of profit margins are perhaps the actual source of funds for the organization. How pleasantly ironic.